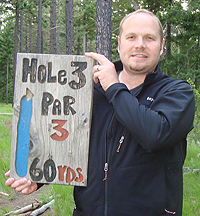 The front 9 holes of Cle Elum’s new disk golf course (located in the Hanson Ponds area) held a grand opening BBQ event on Saturday, June 18th, 2011. 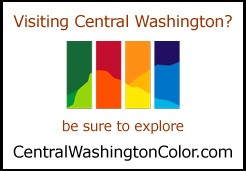 When completed, the entire park will occupy about 14 acres along the Yakima river. Though I went out to visit the sight, I didn’t have my discs with me, so I was only able to walk the course. Still, the course appeared to be well designed to provide some fun challenges. 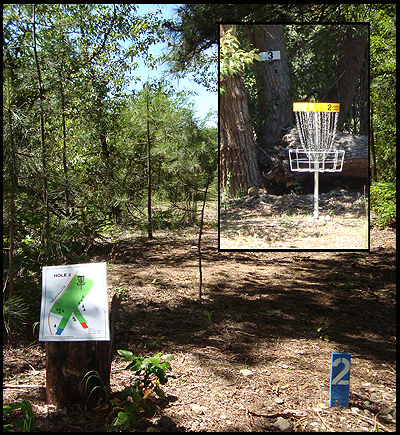 For those who have never played, Disc Golf has the same objective as standard golf: to complete the course in as few of turns as possible. However, instead of a hole, you aim for a basket; and instead of a club and ball, you use special Frisbees of varying weights and flight characteristics. Disc Golf is becoming more popular because it’s a great way to get outdoors and have fun, but it typically doesn’t come with the higher costs associated with standard golf. The Cle Elum High School also has a Disc Golf Course located in the woods beyond its sports field. The key difference is that the school course doesn’t have official baskets. Instead, it has painted posts that have been identified as targets for each hole. The course could use a little love, as some of the signs and posts have toppled, but the terrain is great (plenty of obstacles, but not a lot of brush to lose your disc in).